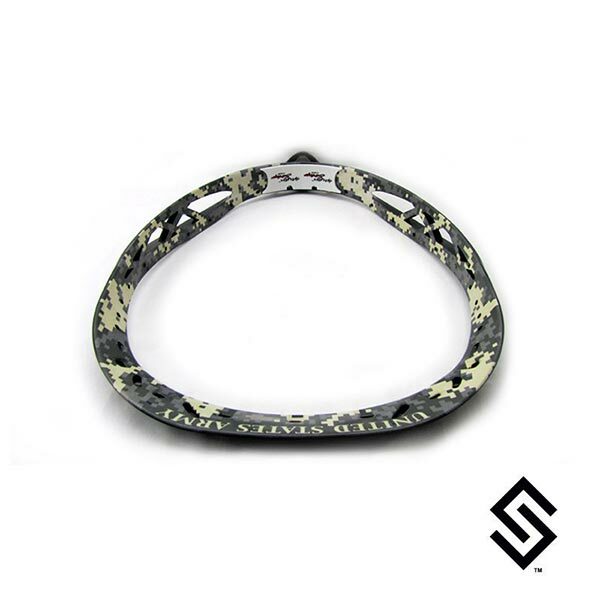 StylinStrings Digital Camo Lacrosse Dye jobs are an artistic representation of Digital camouflage on your lacrosse head. This can come with United States Army on the top lip or not. Write in the head description if you want it on top or not. This is a true masterpiece of dye art. You can choose this dye in any colors as long as you go light to dark. You could also do a range of one color hue like a light red, red, deep red - Call if you want a custom color option.